Ferry tickets may be available at Mersing Harbour Centre. Provided the ferry is not yet fully booked of course. The rate of these tickets is 70 MYR each. 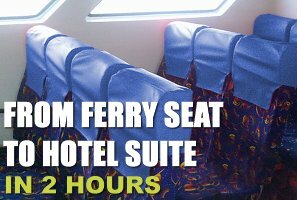 If you prefer to secure your ferry seats online, i.e. in advance, then the ticket rate is commensurate to online sales cost.